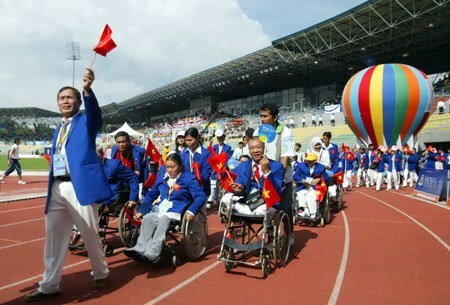 Hanoi (VNA) – A conference for the disabled, orphans and sponsors nationwide is scheduled to be held on April 8 as part of activities to mark Vietnam Day for People with Disabilities (April 18). The triennial event aims to praise disabled persons who have overcome difficulties to gain achievements in various sectors, encourage orphans in studying and their daily lives, and honour outstanding sponsors, according a press conference in Hanoi on March 24. Nearly 240 delegates, including 212 disabled and 83 orphans, from cities and provinces across the country will gather at the event. Within the framework of the conference, there will be an exchange programme on April 7 to heighten public awareness of issues relating to people with disabilities and raise fund for the handicapped and orphans. In 2015, the Association for the Support of Vietnamese Handicapped and Orphans received 426 billion VND (19.1 million USD) in cash and kind from organisations and individuals at home and abroad. As many as 2.6 million people with disabilities and orphans benefited from the fund that year.